Mormon Evangelism in the Twenty First Century For many years, members of the Church of Jesus Christ of Latter-day Saints Mormons have practiced what they call friendshipping. This coined word describes the attitude that Mormons are told to have in their relationships with less active members or those who have no connection whatsoever to the LDS Church. By going out of their way to do kind gestures, Mormons hope to present a positive image of their church and possibly entice friends and ... See More neighbors to enter into the missionary lessons. In addition, many Christians are pressured to join the LDS Church when they become involved in romantic relationships with Mormons. While Mormons apparently can date outside their faith as long as their partners are pure and wholesome, they are not supposed to marry nonmembers. Thus, the Christian boyfriend or girlfriend is typically required to join the LDS Church before the relationship can head to the next step, which could be a Mormon temple wedding ceremony. While Christians certainly can and should have friendships with those from other religions, including Mormons, they also need to understand the potential pitfalls when others are trying to convert them to their faith. 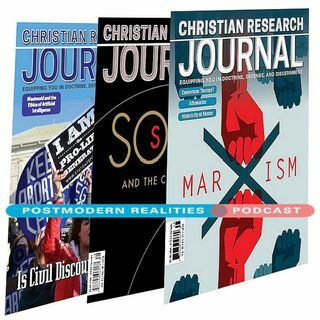 This Postmodern Realities episode is a conversation with JOURNAL author Eric Johnson about his CHRISTIAN RESEARCH JOURNAL article Converting Them Softly with Their Words: Mormon Evangelism in the Twenty-First Century.